EghtesadOnline: Iran may resort to various ways of reducing the impact of US sanctions on its oil exports and those tactics could include secret oil shipments without trackers on tankers, bartered trades, discounts and extended credit periods on oil sales, analysts say. During the previous round of sanctions, Iran disabled tracking on its tankers, resulting in millions of barrels of oil exports that were unaccounted for, Bloomberg reported. In the next round of sanctions, nearly 200,000 bpd of Iran’s oil exports could be undisclosed, Robin Mills, CEO at consultancy Qamar Energy in Dubai, told Bloomberg. While this volume will not have a significant impact on the global oil market, it could be helpful to Iran in offsetting some of the sting from the US sanctions that kick in early November, according to Financial Tribune. 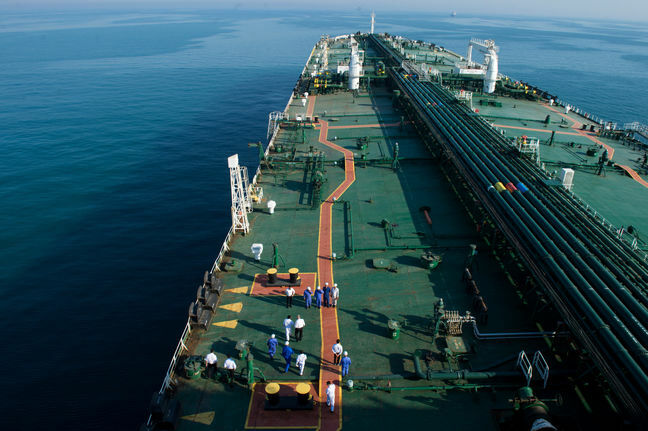 Iman Nasseri, managing director Middle East at FGE London, said smaller Chinese refiners could take some of the undisclosed oil shipments, adding that China, India and Turkey are likely to continue buying Iranian oil after November 4. Last month, all signs pointed to significantly reduce Iranian oil exports compared to previous months.